Stacking the Bricks: How do you design products people love? “OK, well, does 30x500 Academy (and therefore Sales Safari) work for… ebooks? Does it work for SaaS? Does it work for apps? Does it work for packaged consulting? Does it work for workshops? Yes, yes, yes, yes, and yes… because 30x500 is designed to help you understand people. Because you can make the ‘best’ product in the world, but if there’s nobody to buy it — you will never make a sale. Formats? Formats come and go. Human pain, on the other hand, is eternal. For any kind of economic transaction. In any format. It’s all about the people. And people are everywhere! That’s why you should listen to our latest podcast episode. Around this time last year, Scott Hurff interviewed us about Sales Safari and product design for a writing project. 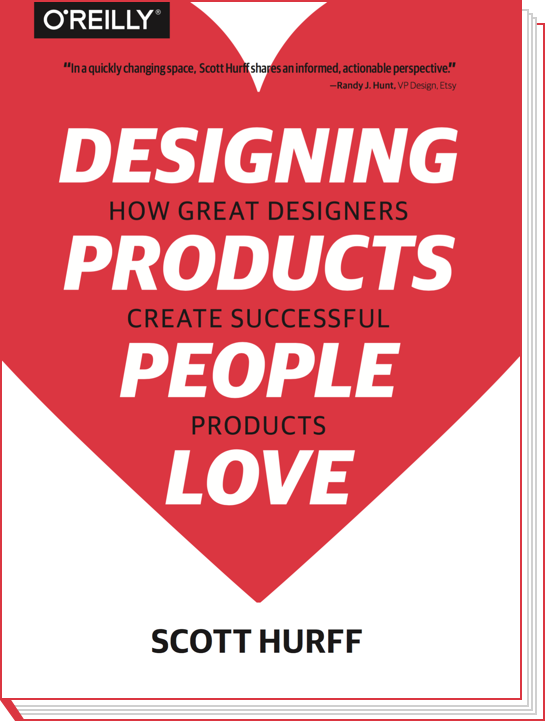 That project turned into a book called “Designing Products People Love” and it just hit #1 in Amazon’s web design category. Scott even beat out the (excellent!) perennial classic, Don’t Make Me Think. Scott asked Alex and me to dive deep into how we use Sales Safari in our respective businesses (Freckle and Indy Hall) and why observational research is SO crucial to understanding what customers really want. We recorded the call. You can listen to it now! Bonus: Scott’s a 30x500 alum. He’s used what he learned to create several different types of products… including, now, a traditionally published book. (Not an ebook… with a publisher and everything! Crayyyyyzee.) That became a best-seller. @scotthurff awesome so far... feel there's a gate after second chapter. you now have me srsly considering 30x500, wat were ur thoughts? @_kulte thx man! 30x500 was huge for me and I'd recommend to anyone who is ready to commit. @amyhoy and @alexhillman are true masters. By the way…if you’ve been enjoying these new episodes of Stacking the Bricks, please leave us a written review on iTunes! Reviews like this one totally make our day, they help others find the show.